In living memory, there was a fine old Tudor house at the corner of St. Radigunds Road and London Road, Dover, called Grove House. Built in 1560 it had a panelled room and on one wall, near the ceiling, one of the panels could be moved to reveal a hole 3-foot (0.9-metres) by about 2-feet (0.6-metres). This opened up into a large space where a man could easily have been hidden! Whether it was used to hide contraband or fugitives during the ages of religious turbulence, or both, is unknown. From about the time of the World War I Guy Mannering, the youngest son of Edward Mannering of Buckland corn mill, lived in Grove House and on 31 March 1941, during World War II, a shell exploded nearby causing some damage. Restored, but due to the attitude of the prevailing council demolition of the ancient building began in mid August 1979. 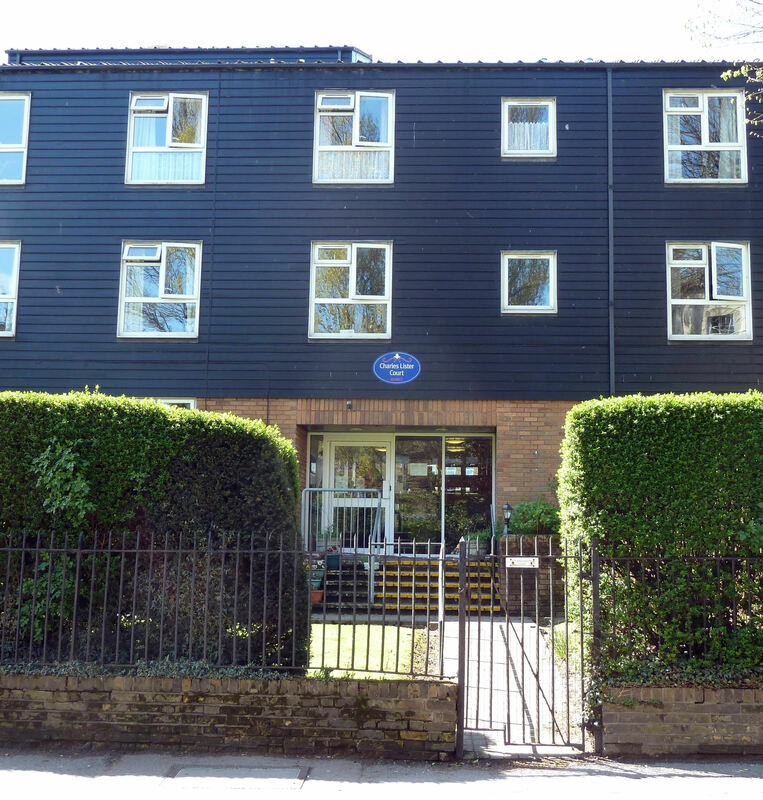 The following year, the Royal British Legion Housing Association commissioned the building of 53 flats – 16 double and 37 single, plus two wardens on the site. Naming the project after Charles Lister, a British Legion stalwart and Mayor of Folkestone, the flats cost £900,000 to build. This was paid for by a loan from the Government’s National Housing Corporation. Built by Corbens Construction, work began on laying foundations in late October 1980. Residents, all ex-servicemen and women or their spouses, started moving into the flats in 1982. The project was officially opened on 25 September 1983 by Brigadier Maurice Atherton – now President of the Dover Society. 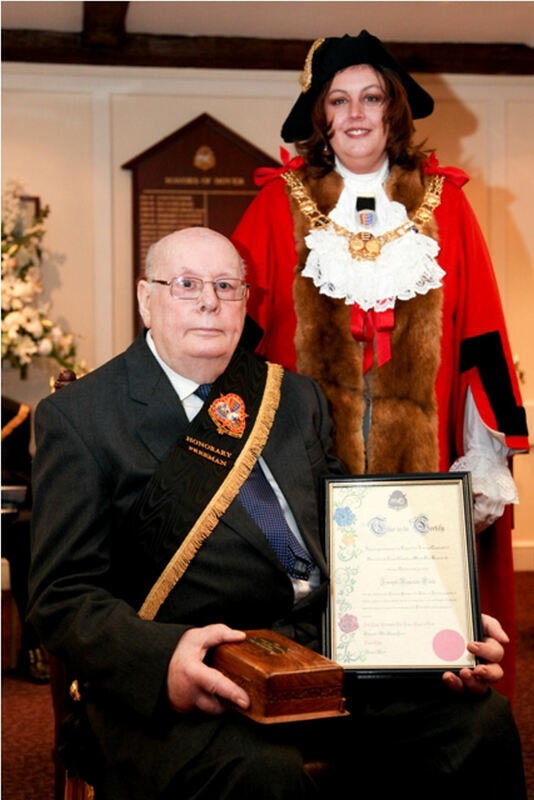 One of original residents is Royston Tant, known as Bob, who was appointed an Honorary Freeman of the town in 2010. Bob was born in Battersea, London, in 1927. He came to Dover in 1946 whilst doing his National Service and met his wife to be, Eileen Husk. They married in Dover in 1951 but went to live in London. 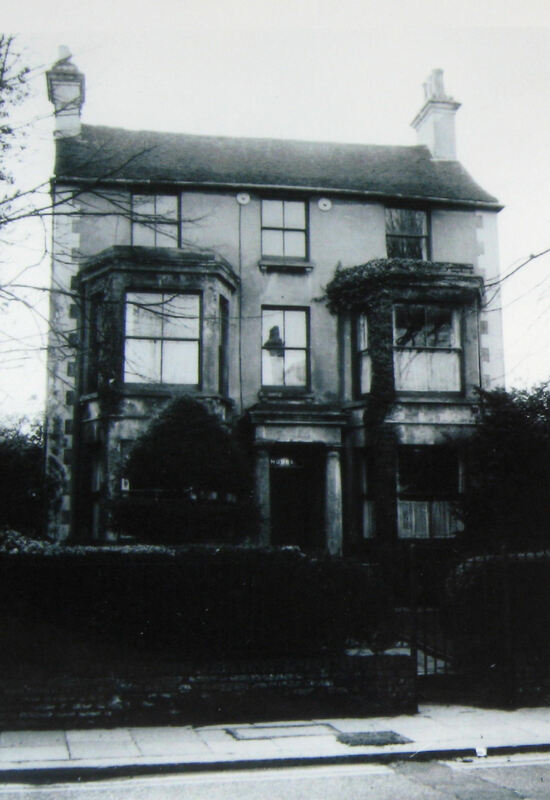 Returning in 1953, they moved into a house in Mason’s Road, and Bob was elected a Labour councillor during the last days of the Dover Corporation. He remained a councillor following the establishment of Dover District Council in 1974 where his main areas of concern were the care and housing problems of the elderly and he worked closely with the Royal British Legion. Like all other Dover councillors at that time, Bob served as a Charter Trustee for the town and was appointed the Mayor of Dover in 1982 and again in 1988. During his latter incumbency, he was also the Speaker of the Confederation of the Cinque Ports. As a Charter Trustee Bob was instrumental in the establishment of a parish council as Dover Town Council in 1996. It was not long after Dover Town Council was formed that I, along with my local historian mentor, Joe Harman, were invited to join a committee headed by Cllr. Lynette (Lyn) Young. This was to regain the right to award Honorary Freemanship – or something similar – to those held in esteem by the town. The Honorary Freedom Act of 1885 had introduced the accolade but when Dover ceased to be a municipal borough in 1974 this right also ceased. Bob was the fourth member of that committee and Lyn, who knew him well, said that he would encourage our enthusiasm as well as advising caution where necessary. She also warned that Bob had a bit of a temper but if we listened and worked together for the good of Dover, all would be fine. As it turned out, Bob’s temper was never pitted against us and I, for one, did learn from his other qualities. It was long, hard struggle not helped when both Joe and I became seriously ill. Joe, sadly, did not recover. By the time I returned Bob had ceased to play an active role and new personalities were taking centre stage. Thus, it looked as if Dover would have to settle for the accolade ‘Honorary Portsmen’ and Dover Town Council accepted this. Albeit, relentless campaigning by Lyn, together with members of other former boroughs now parish/town councils, desperate to regain their ancient rights, was brought to the attention of Michael Boyce, Baron Boyce, the Lord Warden of the Cinque Ports. He took this up in the House of Lords and legislation was amended in 2010 with the caveat that the maximum number of Honorary Freemen, at any one time, is restricted to twelve. Nominations are subject to a vote and to receive the award, two-thirds of the Town Councillors must support the nomination. On 18 November 2010, three Dover stalwarts were created Honorary Freemen, two members of the Dover Society, Jack Woolford and John Turnpenny. The other went to Bob who still lives at Charles Lister Court. In 1992, the Royal British Legion Housing Association changed their name to Housing 21 and these days are classed as a social enterprise specialising in housing, care and support services for older people. From 2011, the Honorary Freemen awards are made at the Annual Mayor Making Ceremony, usually held at the end of in May, when the Roll of Freemen/Women is also read out. Bod (Royston) Tant died on 18 September 2015. This entry was posted in Buildings, Freemanship Honorary and Cllr. Bob Tant, Local Government, People, Tant Bob, Charles Lister Court and Honorary Freemanship. Bookmark the permalink.